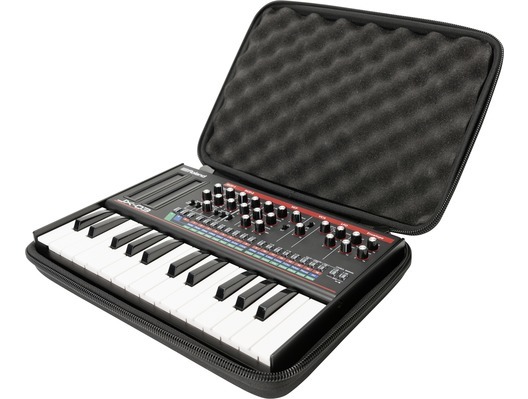 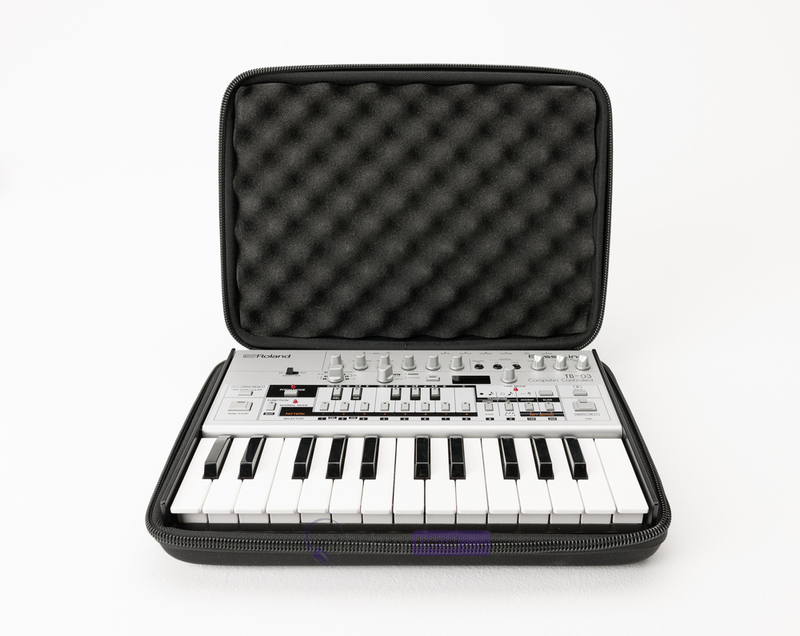 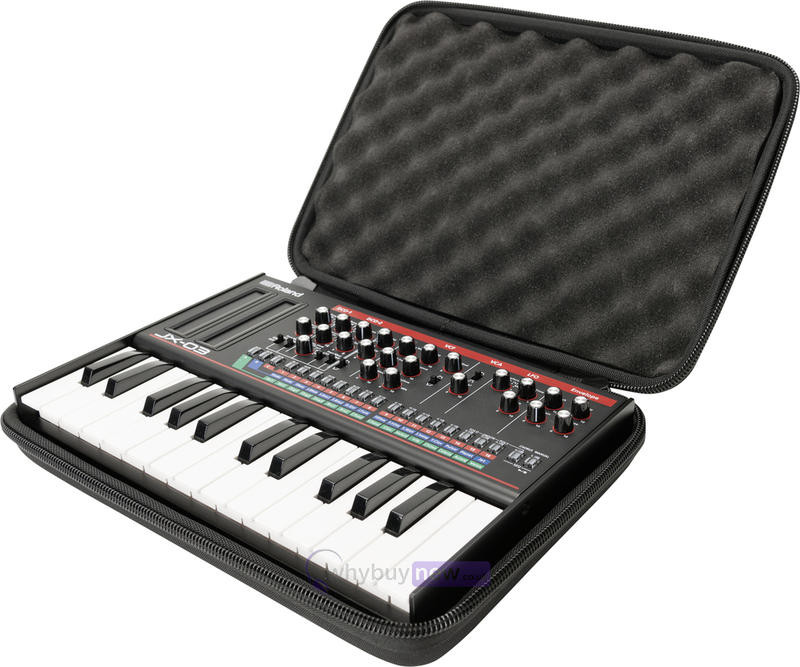 The Magma CTRL Case Boutique Key is a custom-made case designed to hold and transport the Roland Boutique modules, including the K-25M keyboard. 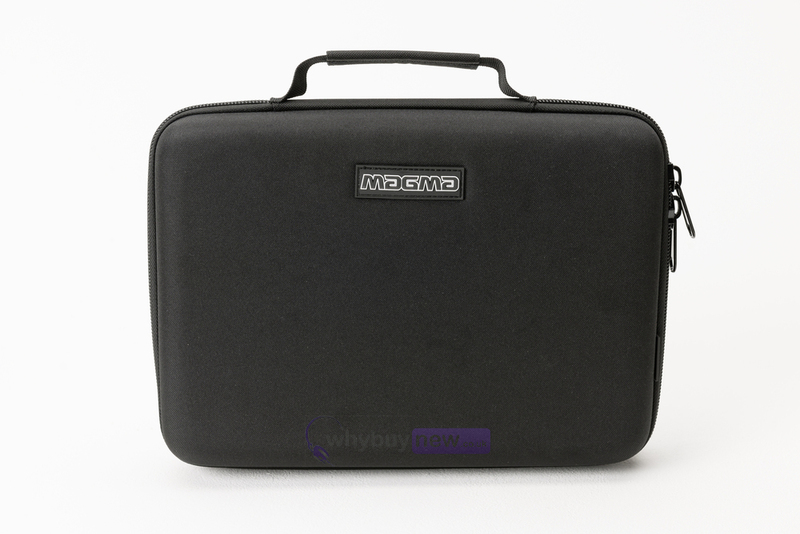 This soft case is made from durable, lightweight Durashock moulded EVA foam, with a water-resistant polyester exterior shell. 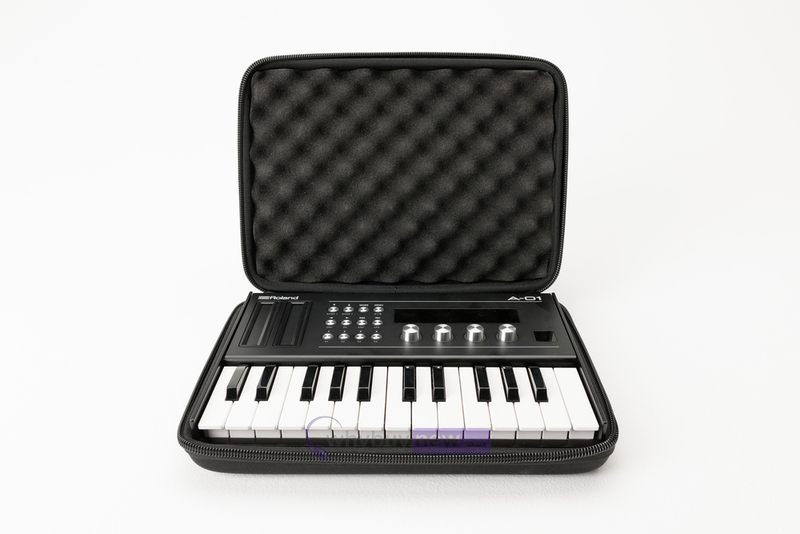 It also features removable (velcro), high density egg foam that provides extra protection for the rotary encoders, knobs and buttons.